I apologise that my blog probably seems extremely festive of late, but I can't help it. We'll cut the whole spiel about how much I love this time of year, as I'm sure you get it by now. I thought it might be nice to talk about what we plan to do this year as our little family of 4, it's going to be a little different to previous years and I'm really keen to insert some of our own traditions that hopefully one day the boys will continue with their own families, I'm trying my absolute best to make Christmas the most magical time, we're lucky it falls on a Sunday so that means John isn't working on Christmas Eve, he's also booked the 23rd off so we get a little longer together as 4 which of course I'm thrilled about. We don't really have too much planned throughout the month of December, but I'll try to knock off as many things on my festive bucket list as possible. On the 23rd, it will be a early morning or late night dash to the supermarket for me, to get all the last bits we need groceries wise, just so everything is really fresh and going at that time I know the aisles will be a lot tamer than the daylight hours - the shops are already crazy and it's only the first week of November as I write this. On Christmas Eve's in the past, my brothers and sister / partners too, all gather at my parents and we'll usually all get a little merry and have like a 'party tea', lots of music and just fun. We always get to open one small present on Christmas Eve, it's been a tradition since our childhood and one I will be passing on to the boys. 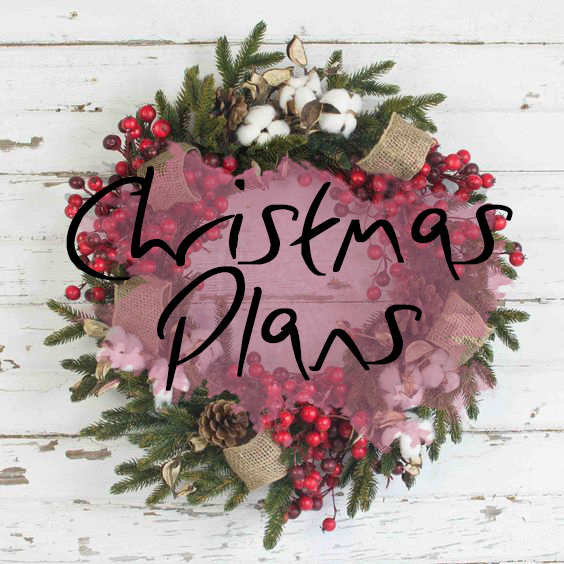 However this year I intend Christmas Eve to be spent at home, I want Noah to wake up and find the Christmas Eve box I'm so carefully piecing together and we can work our way through some of the activities during the day. (I wont spoil it by revealing what is inside as that'll be a whole other post). We're fortunate that we actually live 5 minutes from a National Trust park, so we'll definitely be heading over there in the early afternoon to wear the boys down. Particularly Noah as I'm sure he'll be full of excitement. When we come home we'll all get our Christmas Pjs on, settle down to watch some Christmas Movies & I'll cook us some tea. Very much like my parent's house I do want us to have all general rubbishy party food, paper plates the lot (no washing up on xmas eve yay!). Before sprinkling our reindeer dust & getting the boys off to sleep. When the boys are safely in the land of nod I think me and John will crack open a bottle of prosecco and wrap the boys stocking presents before popping them on their door handles. I decided wrapping was the best idea this year, in case Noah does wake up and try to nosy - I will definitely hear him opening paper and be able to stop him. Christmas morning we intend to have a light breakfast before opening our presents together, taking turns and lots of pictures. We'll then try to have a quick tidy up before grabbing our things and heading to my parents for all the festivities at their house, along with of course the yummy Christmas dinner!! What're your plans this Christmas time? I love this, especially paper plates on Christmas Eve - genius idea!! We're staying at home over Christmas and heading back to our parents from the 27th onwards (they live about 90 miles away).So looking forward to our first Christmas as a 3 and this has gotten me even more excited!! This will be our first Christmas as a family of four so we're spending it at home, just us. I can't wait.